As Hurricane Matthew makes landfall in Haiti today, we here at the Fuller Center pray for the safety and health of the nation. The category 4 storm is expected to bring nearly two feet of rain to the nation, with winds up to 145 miles per hour. Having long been the poorest country in the western hemisphere, Haiti’s substandard construction industry often cannot stand up to natural disasters, resulting in collapsed buildings. Following the 2010 earthquake in Haiti, the Fuller Center worked to build over 150 homes in Lambi and Croix-des-Bouquets. 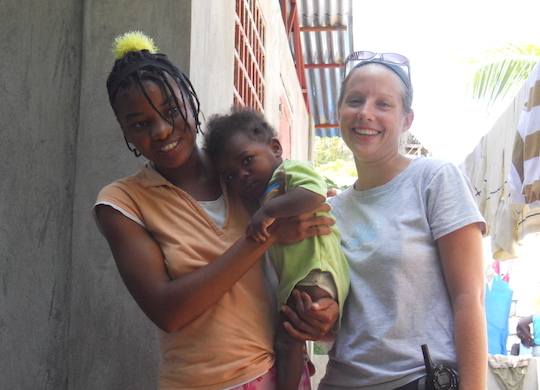 Currently, the Fuller Center works in the rural town of Pignon in northern Haiti. “Our prayers are with the people of Haiti. The many houses we’ve built there make us especially aware of the hardship that is so much a fact of life in that troubled land. Our hope is that the additional difficulties the storm might bring are minor and that the island can quickly recover,” says Fuller Center president David Snell of the nation’s troubles.